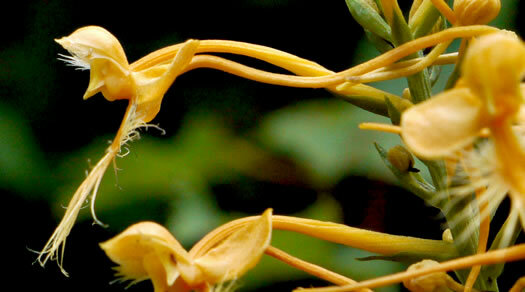 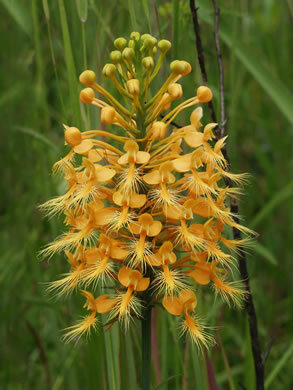 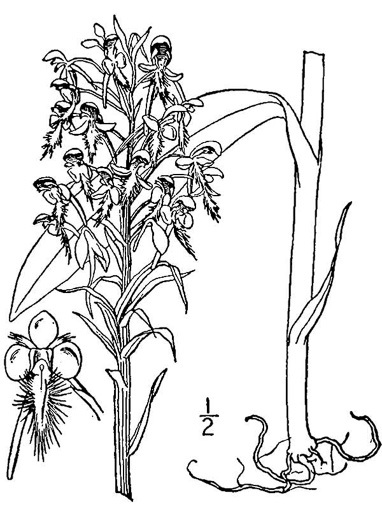 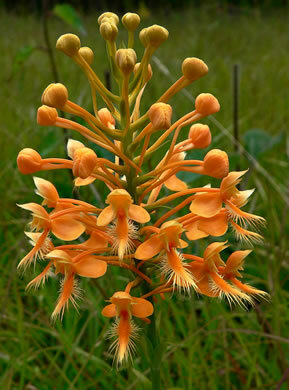 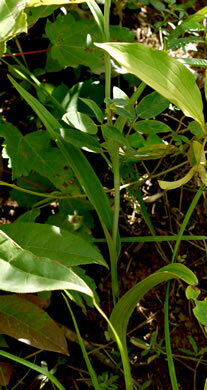 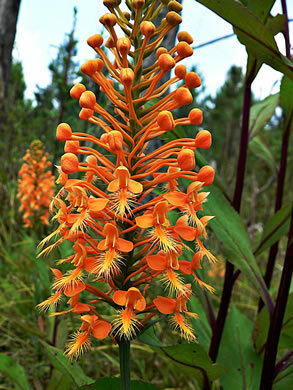 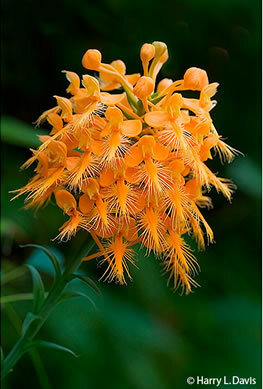 The lower third of the stem bears a few narrow pointed leaves, per Wild Orchids of South Carolina: A Popular Natural History. 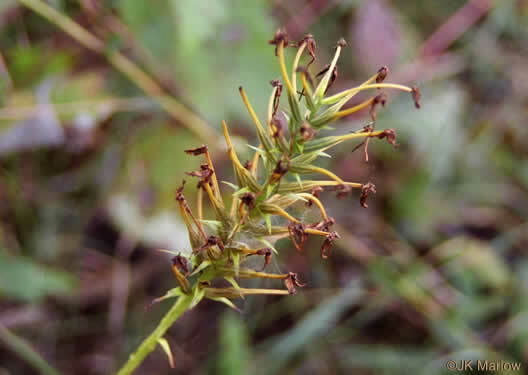 Leaves on the upper stem are tiny and almost like bracts, per Wild Orchids of South Carolina: A Popular Natural History. 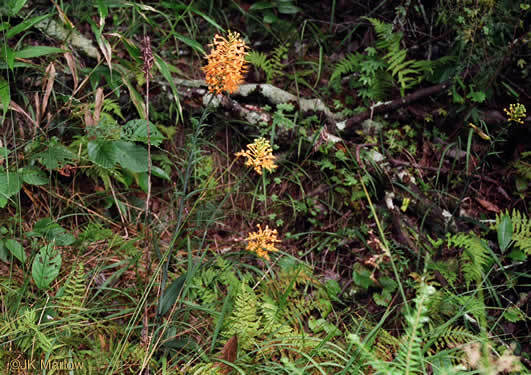 A dorsal sepal acts as a "hood" and 2 lateral sepals are reflexed, per Wild Orchids of South Carolina: A Popular Natural History. 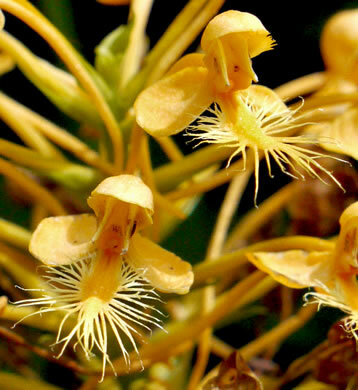 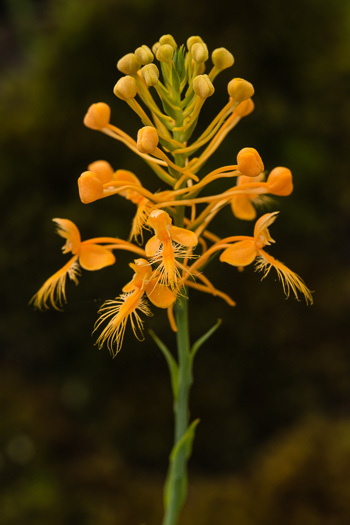 Each flower has a spur 2-3x as long as the lip, which forms the nectary, per Wild Orchids of South Carolina: A Popular Natural History.